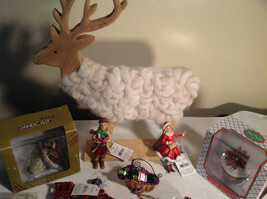 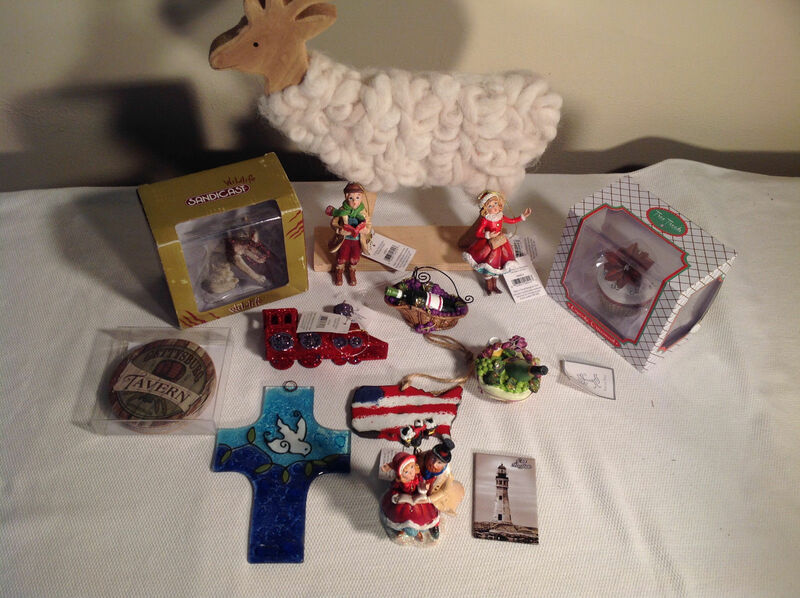 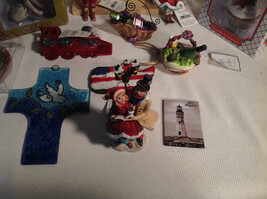 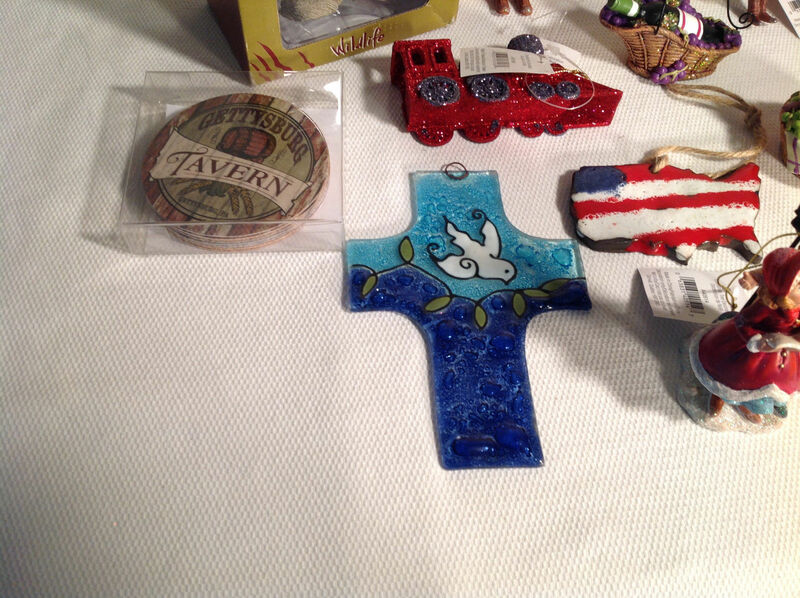 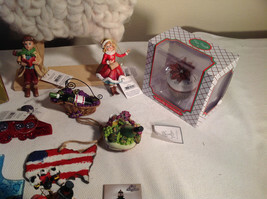 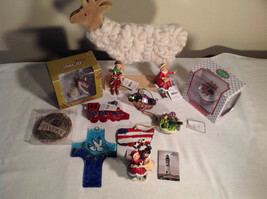 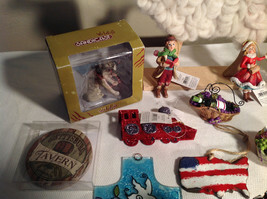 This is a large lot of home decor items and ornaments. 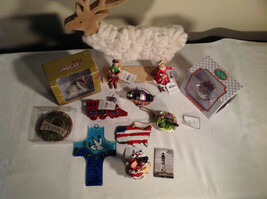 Christmas themed + other holidays. Wine, cupcake, wolf, family, train, coasters, magnet, girl, boy.